Had the best dinner ever (the company was alright, too). Hubs surprised me with this reservation, as we had not really made any big plans for the day, since we’ve been up to our elbows in work at the house (speaking of, I know I haven’t blogged much about that…stay tuned!!!) so it was nice to have a little break to just take a step back and have some fun. Our Capital Grille location is part of the new Mall at University Town Center – basically on the other side of town from where we live. There was quite a bit of traffic as we headed over, and once we arrived at the mall, we had a hard time finding parking, so hubs had me jump out so he could park. Inside, I was instantly greeted by the hostesses and after I let them know about our reservation, I was walked to our table – much to my surprise, the table was tastefully set for our special occasion! 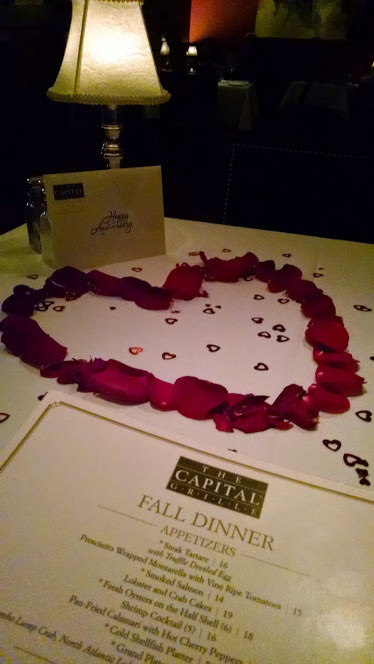 Before I knew it, hubs arrived and we perused the menu. 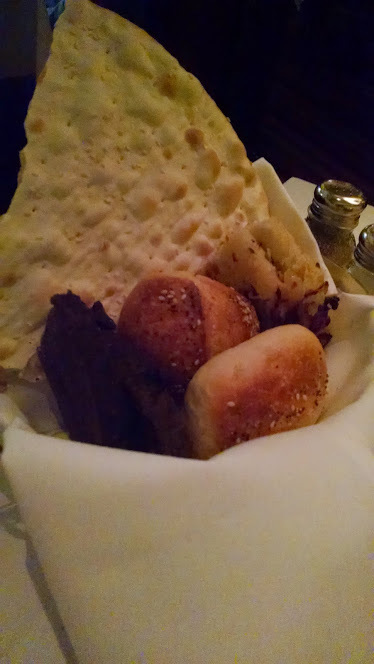 Our server, Roy, gave us the rundown of the service, and brought us bread and champagne (!!) and the drink menu (displayed on an iPad). His: wedge salad and surf & turf (surf du jour was South African lobster) with mashed potatoes. 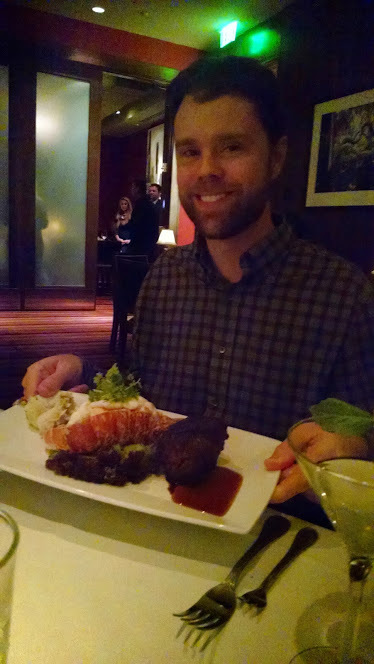 Hers: lobster bisque and bone-in filet. As we ordered, we had to chuckle a bit, especially when I reminded hubs what we had for dinner last night (slices of pizza at Costco with ONE fountain drink and ONE churro for dessert – total < $6) but I have to admit, this meal was not only a special occasion, but it was one that was totally worth every penny!! By the time we finished our meals, we KNEW we wanted to have dessert (dessert was also on the iPad – interactive menu; very cool to see the description + the image) but Roy had a surprise for us – mini versions of two of their most popular desserts: the flourless chocolate cake and the cheesecake (with creme brulee top – ZOMG so delicious), which we complemented with super delicious cappuccinos (decaf for hubs), complete with rock sugar stir sticks! We couldn’t possibly eat one more bite, but after a meal like that, we couldn’t have been more satisfied. 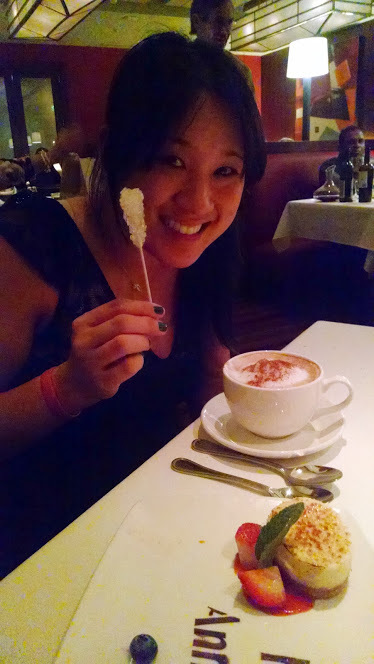 Each item that made its way to our table was ridiculously yummy, and the service was excellent! 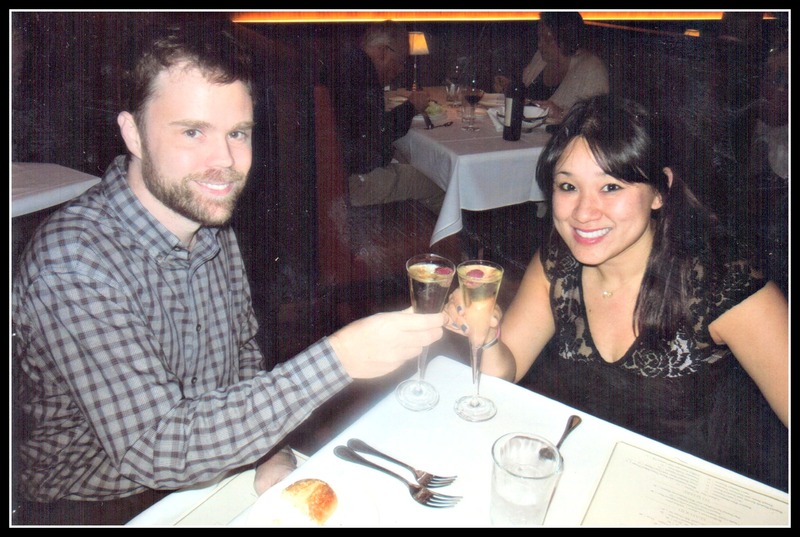 We thoroughly enjoyed our experience, and would recommend it to anyone looking for fabulous place to celebrate, enjoy great food and beverage and personalized service.